Traditional stone cottages. Waterfront resorts. Spacious guesthouses in the thick of the Old Town action. There are some fabulous places for families to stay in CROATIA. Unsurprisingly, in a country with one of the longest coastlines in Europe, a lot of them are located just yards from the sea, and the following list of our favourite places – reviewed in the order you’d encounter them on our Big Trip Croatia itinerary – includes several that are perfectly positioned to make the most of the lucent Adriatic and its rocky coves that are ripe for exploring. From hip apartments in Split to shuttered villas that spread across a hillside on Hvar, staying at any (or all) of these will help your kids remember their visit to Croatia long after your trip has ended. With the exception of Villas Hvar, you can reserve all of our recommended places to stay in Croatia through Booking.com; clicking on the hotels’ name below will take you directly to their booking page, where you can fill in your dates and secure your stay. To find out more about why we’ve partnered with Booking.com, see here. 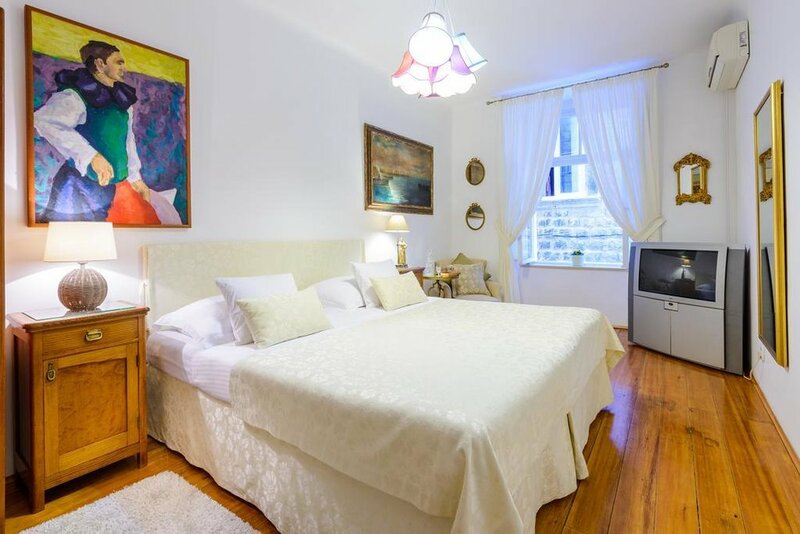 Situated near the bottom of pretty little Kovačka ulica, GUEST HOUSE FLORES enjoys an unbeatable location in the heart of Dubrovnik’s Old Town. In one direction, the alleyway climbs up past overflowing flower boxes to the city’s thickset walls; in the other, Luza Square and the Rector’s Palace are literally just metres away. You’re also only a few minutes’ walk from the cable car and the Old Port (for the boat trip to Lokrum), and being in the thick of it means you’ll never have too far to go if you want to pop back for lunch and a respite if you’ve got little legs in tow. Staying here also gives you a real feel for Dubrovčani life – you can drop by the morning market on Gundulićeva poljana to pick up some freshly baked bread and a jar of lavender honey for breakfast, and once the summer day-trippers have gone and the cruise ships departed, it’s easy to head out again for a (quieter) evening wander around the Old Town’s backstreets. 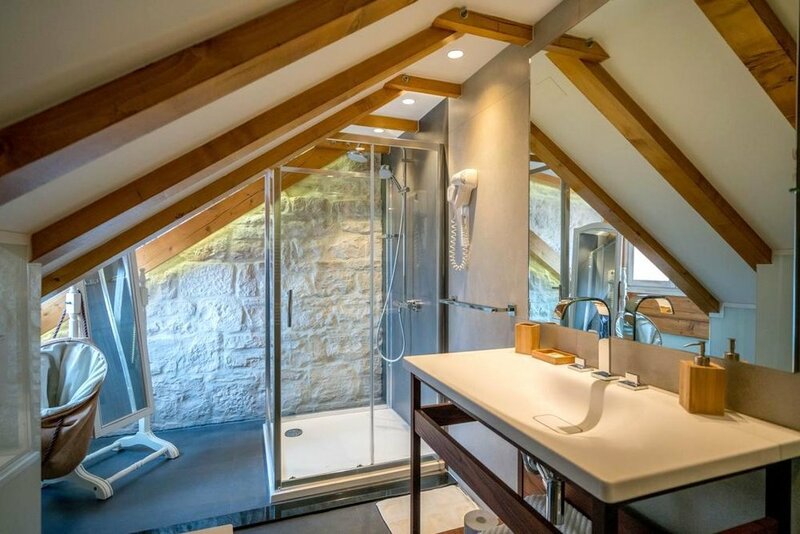 The spacious apartment takes up half the first floor of an attractive stone building, with two bedrooms (each with satellite TV) and a bathroom set around a kitchen-diner. It’s light, especially given the proximity of the houses across the alleyways to the front and back, and kept spotless (there’s a daily cleaning service). Although the kitchen itself is fairly dinky, it has all the facilities you’ll need – fridge, oven, microwave, kettle, toaster and dishwasher – and a table that can just about seat 5. There’s room for a spare bed in the diner if you need to sleep 5 as well, though both of the bedrooms can also take an extra bed. Guesthouse Flores is easily accessed from Buža Gate, although it’s a good idea to phone ahead from the airport, as the owner needs to come to meet you to check you in (she can then walk you to the apartment as well if you’d rather not find it yourself); check in is at 3pm, but you can drop your luggage off earlier. HOTEL NEPTUN is all about location, too, but of an entirely different kind. The best choice if you’re looking for a resort-style hotel near the Old Town – other similar options tend to be more couple-focused or a bit too far away – it’s set on the waterfront in Babin Kuk, at the very tip of the Lapad Peninsula, a few miles northwest of Dubrovnik. Don’t be put off by the blocky Modernist exterior, the rooms received a stylish refurb in 2015 and are now smartly done out in pastel tones. Families can opt for either a Junior Suite or a Premium Family Suite, which both come with balconies and tremendous views of sailboats navigating the deep-blue waters of the Adriatic; the sunsets here can be superb. The family suites are particularly sizeable, with a super-comfy double bed and a sofa bed that clean sleep 2 children, though larger families will need to check in to a Premium Skyline Sea View Suite; these are real whoppers, with two en-suite bedrooms and an extra-long balcony, and can sleep up to 6 (with two additional beds). Parents of noisy toddlers (or noisy teenagers for that matter) will be glad to hear that all the rooms are soundproofed. 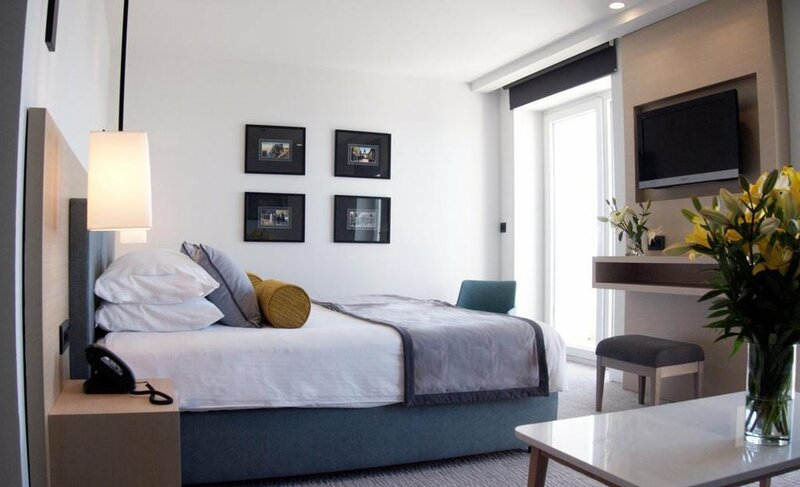 Excellent facilities include three restaurants and two pools – one heated, the other a tidal saltwater pool built into the rocky coastline – though you can also use the pools at the other Importanne hotels nearby. There are plenty of water sports on offer, including kayaks and SUPs, but most kids will be content swimming and snorkelling from the hotel’s own private beach area (access to the water is via a little ladder). Considerate staff are very used to dealing with young kids, and babysitting services are available on request. Buses run to the Old Town (Pile Gate is just over three miles away) from a stop opposite the hotel every ten minutes or so, or you can rent bikes and cycle there yourself. There’s an airport shuttle service, and early check in (normally 3pm) is often available – useful if you want to make the most of your first day in Dubrovnik. The excellent VILLAS HVAR manage a carefully selected portfolio of villas, apartments and cottages across this beautiful island. Occupying a tranquil spot amidst olive trees just outside the historical town of Stari Grad, on the fringes of the Stari Grad Plain, COTTAGE CALLEIS will appeal to families of four looking for a rural idyll. The charming stone cottage has been built in traditional regional style, with a terracotta-tiled roof and a large paved terrace (partly covered) that’s complete with stone BBQ and swimming pool. The cottage’s whitewashed interior is sweetly decorated with images of local life. On the ground floor, there’s a small kitchen, a dining room and a living room (with satellite TV and DVD player), plus a double en-suite bedroom and a second bathroom; the twin bedroom is in the gallery upstairs. Larger families with teenage children will love VILLA HERA in Zaraće, 8km along the south coast from Hvar Town. Set on a terraced slope of zigzagging stone walls, this meticulously renovated complex enjoys pinch-yourself views down over the twinkling Adriatic and is made up of a main house, with a large open-plan Mediterranean kitchen, living room (with wood-burning stove for chilly off-season nights) and chic top-floor bedroom, plus two cottages, each with an additional bedroom (one with a double, the other two singles) and separate bathroom. You’ll be spending most of your time outdoors, though, relaxing in a hammock or on the cushioned banquette, taking a dip in the bijou pool or dining al fresco on the wraparound stone terrace; stunning Dubovica Beach is just 2km east along the D116. Outside of July and August, you can rent Cottage Caleis and Villa Hera for just three nights, to fit in with our Big Trip Croatia itinerary (it’s usually a seven-night minimum stay over summer on Hvar), although there’s a thirty-percent surcharge to do so. A slightly more remote option, VILLA ROSA is perched above the crystal-clear waters of Rosohotnica Bay, a quiet, secluded inlet on Hvar’s northern coast. It’s another good-looking stone villa, though this one has been separated into seven well-equipped apartments, all of which have far-reaching views of Brač (home to Zlatni Rat) and the mountains on the mainland. Pick of the bunch is ROSA itself, a deluxe 6-person apartment that features a big kitchen-lounge-diner with 3D satellite TV and a sturdy fireplace, plus two bathrooms and three bedrooms (all with double beds). Outdoor space is great, with a large terrace that overlooks the bay and another seating area with its own stone BBQ. The smaller OLIVE apartment runs Rosa close for charm, with its quaint country-kitchen styling and homely bedrooms (one with a double, the other with two singles). Olive’s terrace also enjoys stunning sea views and has a stone BBQ to boot. Villa Rosa’s helpful owners have done a good job in making each of the apartments feel quite private, and the only time you’ll probably be aware of your fellow guests is when you’re using the shared pool or are swimming and snorkelling down in the bay (the rocky shoreline is just 25m away). The villa is surrounded by a shady pine forest, on the outskirts of the village of Basina; the nearest towns, such as they are, are low-key Vrboska, 2.5km to the southeast, and the harbour town of Stari Grad, 7.5km to the west, across the Stari Grad Plain; Hvar Town is about 20km away. The majority of villas on Hvar apply a minimum rental period of a week in summer, but you’re able to book the apartments at Villa Rosa for three-night stays throughout the year. An elegant loft apartment in the centre of Split, ATTICUS has been thoughtfully designed to make the most of its top-floor space. The main living area is light but cosy and combines a handsome natural aesthetic (wood floors and lots of exposed brick and beams) with a contemporary kitchen and modern conveniences such as flat-screen satellite TV and computer. It’s a look and feel that extends into the simple but stylish double bedroom and its adjoining bathroom. There’s another bedroom, with a single, the other side of the kitchen-diner, and a sofa-bed in the lounge (Atticus sleeps 6 in total). The ceilings are pitched, which gives the apartment plenty of character, though you may have to watch your head in places. 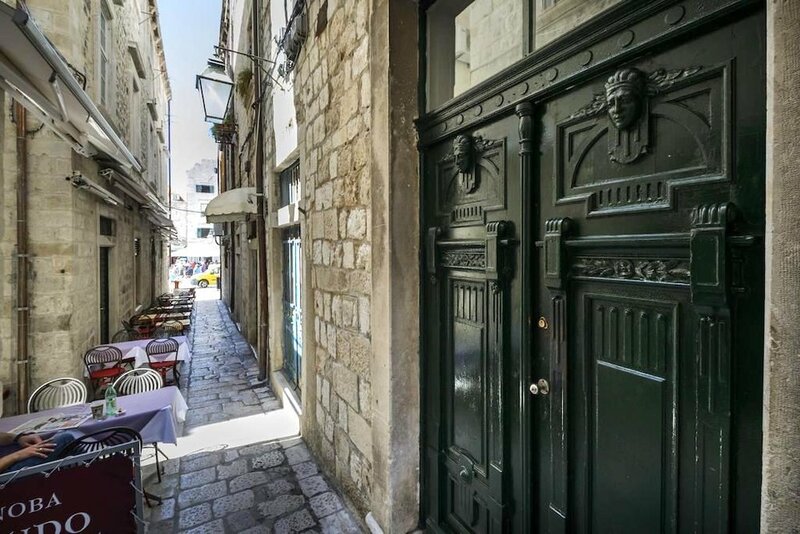 It’s in a very convenient location, near the bottom of a wide (in comparison to the rest of medieval Split) pedestrianised street at the end of the city’s sunny Riva, just a couple of hundred yards from Diocletian's Palace. Being so close to the Riva is great as far as evening walks and access to restaurants is concerned, though it also means that noise from the lively waterfront doesn’t have too far to travel on summer nights. Pack light – the apartment is up several flights of stairs and there’s no lift. Private parking is available nearby – handy, as you’ll still need your car for the day-trip to Krka National Park. One of the very few hotels in medieval Split that has rooms big enough for families, boutique PALACE JUDITA occupies a sixteenth-century palace on Narodni trg, the city’s main square. There are just eleven rooms here, all with hardwood floors, exposed cream brickwork and suitably lavish furnishings: voluminous curtains, silky bedspreads and lots of sparkling chandeliers. 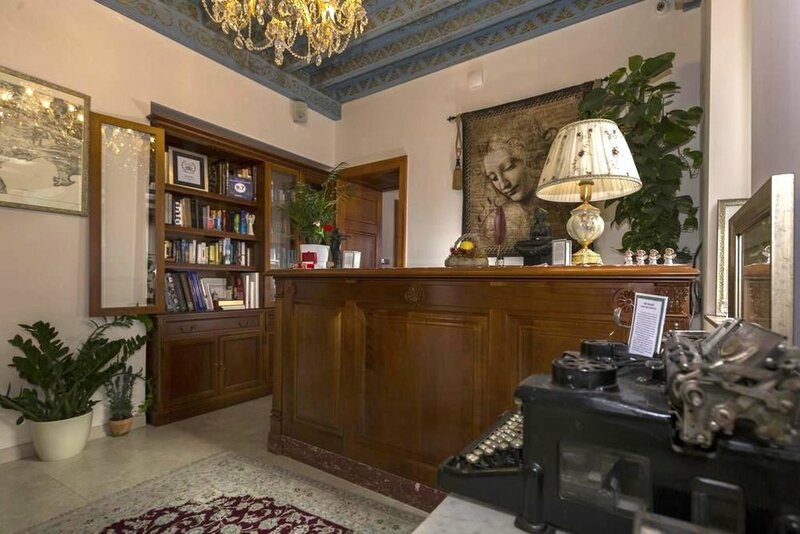 You do pay for the historical setting, though, and for the central location, just a short walk across the square’s polished limestone to the Iron Gate and the western entrance to Diocletian’s Palace. All the double rooms can sleep 3, with either a single sofa bed or an additional rollaway (extra beds cost €50 per night); some have their own balcony, others have access to a shared terrace. Note that the Superior Doubles are in an annex next door, which means popping over to the main building for breakfast each morning. For larger families, the split-level Family Room sleeps 4 (the two singles are in the attic above), whilst the Deluxe Suite can sleep 6 and has its own terrace with views over Split’s rooftops. The little café in the hotel’s internal courtyard spills out onto the square and is a great place for people-watching, though you’ll be glad to hear that the rooms’ triple-glazed windows means there are no noisy nights. The Palace Judita has parking space nearby, and the super-friendly staff will ferry you and your luggage to the hotel on their zippy little golf-cart buggy.